Rawlins Paints’ stocked metal paints have increased considerably in volume through 2018, as more industry standard coatings from Ardenbrite, Blackfriar, Coo-Var, International, Jotun, Mathys, Nullifire, Rust-Oleum, Sherwin-Williams, Sika, Solignum, Teamac and more are now available to buy online, all with next day delivery. 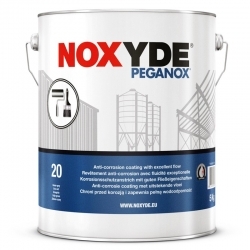 It is one of the widest product and manufacturer selections available in the UK, with industrial metal paints and coatings suitable for cladding, structural steel, heat resistant purposes, priming new construction materials, delivering anti-corrosive protection to marine and off-shore environments, tank and pipe lining coatings, and treating and covering rust. So, if you require unbeatable colour retention, chemical resistance, UV protection, low-temperature applied metal paints and coatings, amongst other criteria, find the best product today, at Rawlins Paints. Rust-Oleum 7500 Alkythane is a single pack high performance, anti-corrosion topcoat for metal. 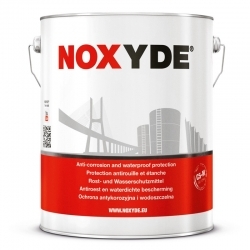 Ideal for low temperatures (as low as 5°C) it offers the same protection in less layers than other alkyd-systems. A water based, low VOC, single component, elastomeric coating that provides rust-proofing, corrosion and waterproofing protection optimized for brush or roller application. It forms an anti corrosive membrane that has a high resistance to water, salt spray, acid and aggressive environments making it virtually unaffected over time. Rust-Oleum Mathys Pegalink Universal Adhesion Primer is a water based primer for indoor and outdoor use. Adheres to many surfaces: wood, gypsum, cement, bricks and especially on smooth and difficult to adhere to surfaces like: galvanised steel, copper, zinc, polycarbonate, hard PVC, Pegagraff Hydro, etc. Offers excellent substrate &lsquo;wetting&rsquo; properties making it suitable for hand prepared steel as well as blast cleaned steel. Provides good chemical and solvent resistance, with high film builds achievable in just one coat. A high solids, epoxy intermediate/finish coat, providing exceptionally high film builds (up to 200 microns DFT per coat), enabling maximum performance in a minimum number of coats. Can be used year round due to its ability to cure down to temperatures as low as 2&deg;C.
Provides an extremely tough, durable finish combining good anti-abrasion properties with exceptional weathering characteristics. 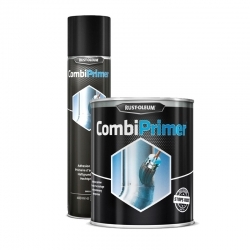 Leaves an easily cleanable finish with excellent colour retention and UV resistance. Metal primers and rust-inhibiting undercoats provide the crucial stage to any major maintenance, renovation and metal restoration work. 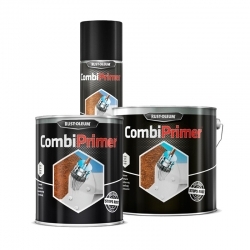 Whether it is for cladding, roofing, floors, mezzanines, helipads, steel and cast-iron structures, or oil tankers, metal primers are available to buy here today, in combination with other products and topcoats required to finish a major build or small project, in almost any working and environmental conditions. Direct to metal paints are the quickest and easiest way to cover rust, or deliver high-quality finishes to areas with minimal surface preparation. Some of the better known direct-to-metal products include coatings from Rust-Oleum’s CombiColor and Noxyde ranges. Metal topcoat finishes can either be used to complete full paint systems, or refinish any maintenance or repair work that has been done. Aluminium paints, high-gloss finishes for increased durability in high-humidity environments, enamel and gold-effect or metallic finishes are popular specialist metal topcoats that deliver much improved results over standard coatings. Heat resistant paints for metal are not the same as intumescent paints for steel. 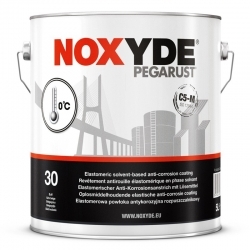 Heat resistant paints have been specifically designed to withstand high-heat temperatures up-to 750°C – for use on chimneys, pipes, engines, log-burners, and exhaust pipes, etc. They will not break down under duress of high-temperatures, and the products available to buy today at Rawlins Paints are designed for commercial and industrial use. Metal cladding paints can rejuvenate and re-colour aged and weathered cladding. As businesses re-brand, so do colour schemes – which using a high-quality metal cladding paint can mean that the façade to a business property can be relaunched extremely quickly. Teamac, International, Jotun and Sherwin-Williams are amongst the specialist manufacturers producing high-grade marine paints and coatings for boats, yachts, cruisers, trawlers, etc. These metal paints are designed to protect metal surfaces in submerged environments, and even in ice-cold Arctic conditions. Whilst many metal paints can be applied by brush, roller and spray, Rawlins Paints also stock aerosols for use on metal and metallic surfaces and substrates – from primers to topcoats. Rust-Oleum Hard Hat Topcoats are the number 1 best-selling industrial aerosols for metal, delivering high-quality gloss finishes with superb colour retention. In more extreme corrosive and industrial environments, including power stations, oil refineries, pulp and paper plants, gas pipe infrastructures, chemical processing plants, aviation sites and hangers, low temperature coatings may be required. Tank coatings and linings available also provide industrial solutions for internal and external surfaces of tanks storing gas, water or aviation fuel. A wide range of metal paints do provide above standard chemical resistance, but the range of specialist chemically resistant coatings also available at Rawlins Paints offer extreme protection to concrete, metal and other building and storage facility substrates dealing with corrosive chemicals, acids and materials on a daily basis. A series of easy to use products that require no specialist skills to apply, for day-to-day maintenance of metal. The products require minimal surface preparation, are quick drying and are usually sufficient with just one or two coats. This range offers products that offer longer term protection against more demanding conditions such as, extreme corrosion, chemicals, impact and abrasion, coastal environments, etc. These systems often include multiple coats and products, more stringent preparation requirements and more need for care to be taken over application. Call our Technical Team to discuss which area your project falls into and what product(s) will be best for you. Site visits can be carried out for larger projects so a full specification can be produced in writing, which will be tailored to meet the projects requirements. Data sheets and advice are always freely available to help you with your project.